Although I will refer to ADHD in this article, ADD is also implied. Strong evidence suggest that the potential for ADHD is passed down from the parents through genetics and is not necessarily due to parenting style, although this may aggravate the behaviours. Smoking and alcohol use during pregnancy. Children of smokers are 2-3 times more likely to have ADHD children. Environmental chemicals: significant associations have been found between ADHD and pesticides15, phthalates (found in plastic toys and cosmetics)16, PFC’s (non-stick pans, personal care products)16, lead17 and BPA (plastic bottles and packaging)16. While this does not confirm a direct cause it is probably wise to reduce exposure to these. Brain injury – only a very small proportion of ADHD. While medication may be necessary in some cases, at least in the short term, there may be simple (if not easy) solutions that should be investigated first to prevent a potential lifetime of drug dependency. ADHD is not a Ritalin deficiency. ADHD does seem to be a multifactorial disorder and conventional science does not seem to have been able to determine any solution beyond medication. I am going to focus on 3 possible causes/solutions in this article which I think may hold the key to solving the ADHD puzzle for many children (and adults). In other words: there is no problem with the eyes, the brain is not processing certain images correctly leading to reading and concentration difficulties. There is commonly a sensitivity to bright and fluorescent lighting and glare. Print looks different and reading on white paper with black print is difficult. For some it looks like the print moves, blurs or disappears on the page. As a result headaches may be commonly associated. 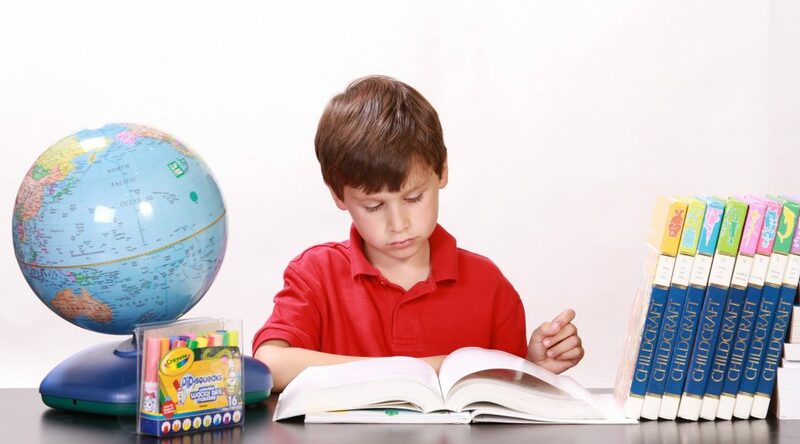 Studies indicate that up to 46% of people with reading problems, dyslexia, ADD/HD or learning difficulties suffer from Irlen syndrome.19 Also 84% of 751 children with Irlen syndrome had at least one parent with Irlen Syndrome, so get yourself checked. If your child has no signs of Irlen syndrome the next port of call is diet. While conventional media usually denies any effect of diet on ADHD symptoms,5 I think this is mainly because the research is done on specific, separate items of food such as sugar, artificial additives or omega 3’s, or on general diets. 6,7 While avoiding artificial food dyes and flavourings and omega 3 supplementation have been shown to improve behaviour in some ADHD children13,14 these interventions are only parts of the dietary problem. Many other foods may be causing sensitivity reactions in children and increasing general inflammation in their bodies. This is evidenced by how remarkably effective an elimination diet seems to be at reducing ADHD symptoms. This kind of eating plan removes many foods from the diet that are known to be problematic in many people like dairy, wheat, nuts and eggs. One study as far back as 1985 showed significant symptom improvement for 82% of children on an elimination diet trial.8 A further study in 1993 resulted in 76% of children improving.9 These studies are not isolated. Another trial in 2002 showed an improvement in behavior of at least 50% in 62% of participants.10 A more recent randomized, controlled trial in 2011 echoed the results of the previous trials11. These kind of results are very impressive and almost unheard of when compared to typical pharmaceutical interventions. The biggest criticism towards elimination diets is that they are “complicated and disruptive to the household”12 as if having and ADHD child is not disruptive! Yes, conducting an elimination diet, especially with picky eaters is a challenge. But it would seem worthwhile to try it for 2-4 weeks. At worst you will have no change but it is highly likely that improvements will be made. An example of an elimination diet can be found here. By reintroducing foods after a “clean” period you can determine which ones are the offenders by the worsening of symptoms. Once you have identified the culprit foods it is worth sticking to a nutrient rich diet like the paleo diet to cement the changes. I think it is also important in light of the environmental chemical factors that might be involved in ADHD (listed above) that you practice some avoidance and elimination. More information can be found on this subject in my article ‘All About Detox’. Magnesium: up to 500mg per day especially if the child is extremely ticklish and distractable, has trouble going to sleep or experiences muscle cramps. This does make intuitive sense: if you have a restless kid some spirited physical activity is likely to help. It should be noted that in both these studies the exercise program was done before school. Get rid of some of that physical energy before the mental concentration is required. People tend to think of exercise as something which improves the musculoskeletal system but ignore the fact that it has been clearly shown to improve behaviour, brain function and thought processing. And that is in non ADHD kids.26 All the more reason for ADD/HD kids to be involved in a daily exercise program of at least 30 minutes, preferably with at least a portion of it before school. While these 3 solutions above may not help every child with ADD/HD, I think a majority will experience some help from one if not all of them. There is no real downside to these interventions and that’s why I don’t hesitate to recommend trying them for trial period before going the medication route. If your child is on medication already, these interventions can be a great addition and may result in a reduction or complete removal of the medication. At worst your child is a bit healthier overall; at best the label of ADD or ADHD no longer applies. I am pleased that I discovered this web site, just the right info that I was looking for! .